Silver Sparrow Designs: glistening golden gratitude giveaway! 1. leave a comment telling me something you are grateful for. 3. like my facebook business page in the sidebar and leave a comment on the page. 4. encourage your friends to do the same. maybe share a link to my giveaway on your blog? if they leave a comment saying you recommended it, i will enter your name again. thank you all so very much! i never forget for a moment that i could not do this without you. deadline for entering is next saturday, june 11th and i will announce the winner next sunday, june 12th. I am so grateful to Kristi's artwork and blog. I read and go to all the time and love to read about your life! So real and awesome. I love you and feel like your a sister to me!! I am so very grateful that I found my "lost" spiral ear ring. It had been missing for months after taking them out for a hair cut. 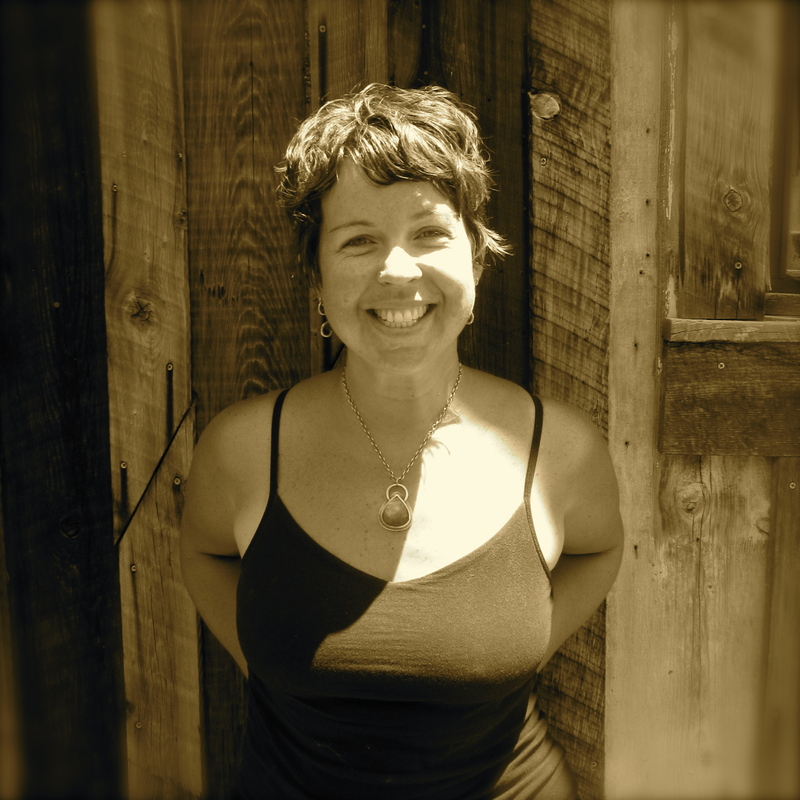 I love your work Kristi and am so happy that you have found a way to make a living with your amazing creative energy. I am very grateful that you were so kind to answer an email from me about a year and a half ago . 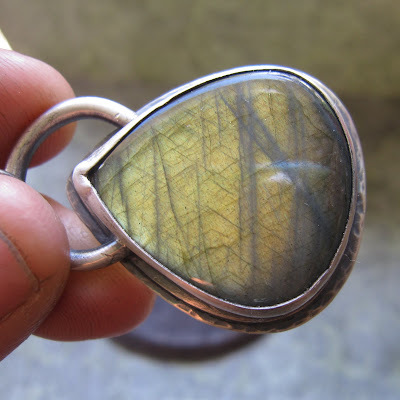 You gave me some great advise on how to get started to learn about silversmithing. I took your advise along with a few classes and I now am preparing to sell my creations. I am a follower of your blog and a face book fan. I am forever gratefull for my daughters - they are my world, and my inspiration in my life. My oldest has Aspergers and is so amazing, she knows everything about everything! And my youngest is honestly the friendliest person I have ever met (not sure where she gets it from) They rock my world! I am grateful that I live with two lovely people that support me, through grad school, my baking habits, and my obsession with video games. That are my partners in crime, even though one's one of my best friends and the other is my boyfriend. That I have support, love, and kindness. With that, I'm going to go drag them on a hike. I am grateful to be born in a developed country with countless of opportunities in life. I am grateful to God to be living in a country spared from natural disasters, praise him! i am grateful for my family. because despite everything that has transpired, may it be good or bad they are still there for me. Grateful that summer seems to be on its way so I can frolick in the warmth of the sun with my kids instead of being cooped up inside. Hope you have an incredible birthday! I am a follower of you blog and facebook! thanks! I'm most grateful for my loving and supportive husband and for my beautiful daughter, we are blessed! I am so very grateful for the special friends I have met online over the years. It is truly amazing how close you can be to someone you have never met. I am most grateful that my boyfriend is able to keep his immigration status. Otherwise, I'd miss him terribly if he had to go back to Canada. I am so grateful for my family and friends. My kids and husband are my world! I am also so grateful for good friends, past, present and future! I am grateful for so much it would take a seperate blog to tell you...Let me just say, Life IS Grand and I'm a most fortunate woman. There are so many things that I'm grateful for one is my good health and another is my family. I am forever grateful for all the wonderful people I get to share my life with. I'm grateful for the amazing people surrounding me. Without them, I honestly don't know what I would do. i'm grateful for sunshine. and art. I grateful to be alive. I am just happy to wake up every day. I am grateful for my Mom-who's birthday also happens to be June 10th. She would have been 62 years old. I am grateful for the woman I have become since she passed away in 1995-strong, courageous and curious. I am so gratefule for my family! They are a constant in my life. Thank you for the chance! I'm grateful for my two beautiful kids and my wonderful husband. I'm grateful for my family and my friends! I am grateful for my amazing parents. I'm grateful for my family and my health. I am greatful for my 3 grandchildren. God is so good! I am SOOO grateful for my family! I love them very much and we get to welcome another one in three months!!! I am following you on your blog!!! I am grateful for the health of my family and the beauty of the sun, flowers, the beach, the forest, mountains, rivers and all of nature! I left a comment on your Facebook and I "Liked" you too!! wow! it is so wonderful to read what you are all grateful for. thank you so very much for sharing. i wish i had a necklace to give to each and every one of you! I'm grateful for my mom, and if I will I'll be giving this to her for *her* birthday...she'd love it! I'm grateful for my family!! I am grateful for my mum. She is undergoing chemotherapy and radiation. Each day I am grateful she is my mamma. I am grateful to be alive, to see sunshine everyday, to kiss my husband and embrace my dog. I am grateful that I beat cancer. I'm grateful that I stumbled upon this giveaway! ;-) Seriously though, I am grateful for the life that I am living...my husband, my family, my pets, everything. This necklace is just stunning! I am thrilled to be a new follower! This is, by the way, a very thoughtful blog as seen on the photos. What I'm grateful for is that I'm still breathing. Quarterlife isn't easy for someone with big dreams and still single but love the adventures and the lil bit of naughtiness I do to make each day interesting to live. Facebook and GFC follower here... avatarlady. =) More power to your shop. You've put so much effort into it I can see that just by browsing your blog the first time. I am grateful for my parents - they are the epitome of what amazing parents should be. I am beyond blessed. I am grateful for everything: My daughters who are so darn funny, my husband who is so handy, my brother who is a vet and fought for our freedom, for my mothers good health, and because I am so blessed. I think this goes without saying but I am also grateful for your talent because I love your jewelry. I am grateful for my family , husband , God , and living life everyday , having food to eat and a home to live in . I am a gfc follower of your blog . fb fan of your page /ana amanti . I am grateful for my family, living life everyday , having food to eat and a home to live in. I am grateful for my life, my kids and my health which is always %100 great! I am grateful for a job, for my family, and for good health. I recently went through a big health scare (blood clot and embolism), and so am especially glad to be in better health. Thank you for this lovely giveaway! im grateful for the love and support of my family. Hey June 10 is MY birthday too! We are Gemini twins! I am thankful and grateful for my and my husband's health . I am grateful for my family. I'm lucky to have three kids and a wonderful husband! Thanks for the chance to win! I am grateful to be able to enjoy the beauty of the natural world every day. I'm grateful for my good health. I am grateful for my friends. I am going through a very hard time righ now and they are so there for me!!!!!!! I'm grateful for the internet. It is a wealth of information! Liked you on Facebook and left a comment as Stephanie Lai. I 'liked' your FB business page. I look forward to seeing your updates in my news feed. Hi Krisi!! I am thankful for my wee little gorgeous family and also for the new thyroid meds which are uber helpful at keeping me sane, lol! Thanks for the kind giveaway! What a fabulous piece!!! I am grateful that my husband’s bike racing takes me to places like Santa Fe where I can make I can visit the Georgia O’Keeffe museum (everyone should make an annual O’Keeffe connection), visit galleries, see amazing artwork, stroll through places like the Plaza, and of course, the Jackalope . Then reflect on all that you see and be able to say to yourself, yeah, but Kristi Smith’s work is better than that. And then recognize that in your own neighborhood you have amazing artists and amazing people that world class places like Santa Fe can only display, we get to know them. I'm a follower. I liked you on Facebook and I recommended you on my facebook page to my friends. I am extremely grateful for the love and support I receive from my family on a daily basis. They help me to always feel encouraged, guided, and at peace. I'd love to enter! I'm grateful for having a loving family. thanks so much for your amazing designs! i've been a follower of your blog for a while now, but now i've liked you on facebook too! will leave a comment there shortly :) i've told friends about your lovely spiral earrings, too, my favourite! currently i am feeling extra grateful for my generous and understanding family members and my partner who have supported me from a distance through 10 months of anthropological fieldwork on another continent, who never give up on me and always remind me to be strong and inspired. i know they must have difficulty sometimes in my absence and i am acutely aware of how lucky i am to have them in my life -- because they understand what i am passionate about. they simply get it. i don't have to explain. & i know i couldn't do the work i do without them. I am grateful for little joys of day. Calling from my friend, eating strawberries, getting good laboratory tests at my doctor, living in peace. i am grateful for my sisters...they are awesome. oh this is sooooo beautiful! i just love the necklace. thanks so much for this chance! i'm so grateful for my wonderful family. we've recently moved closer to my mother and the joy of getting to spend numerous meals a week with her and my boys is just amazing. i'm so happy and thankful for that! I'm so grateful for my son, he's the best thing that ever happened to me! I liked your Facebook page as Mary Lee and left a comment! I follow on GFC as Mary Lee! I am grateful for my family, my creativity, and all of my rocks. I'm grateful for the lack of unluck in my life. LOVE your jewelry! just found you via rachel! right this minute, i am grateful for three children who are sleeping very late this morning, hot coffee, and the internet....which i often curse, but it's pretty impressive, too. hope you had fun at the beach! I am grateful to meet and love such a gorgeous man and for all of those people who helps me when I need more. i follow your blog, too, but had to use the follow at the top of the page so it may take a day to load/show. I am so grateful for my family. They are my home. I'm grateful for my sweetie who always picks me up when I fall flat on my a%%, who puts up with my incessant off-key singing and ridiculously bad puns, and who buys me Fig Newtons at just the right times. Many thanks and a happy day to ya! I'm grateful for my husband. He brightens my day every day just by being in my life! Thanks for the giveaway! I am so grateful for my family who are the very best of people! Happy Birthday! I am a new follower!